We like our Jedi Masters to be 900 years old, off-green like an decrepit frog, and with a sense of English grammar as warped as his frail skin. Don't you? You can bet, then, that we love wise little Yoda. He might not be as handsome as Mace Windu or as consoling as Qui-Gon Jinn, and he may not speak with a charming accent like Obi-Wan Kenobi. But when it comes to doing cool Star Wars Jedi stuff he will always be number one in our hearts. 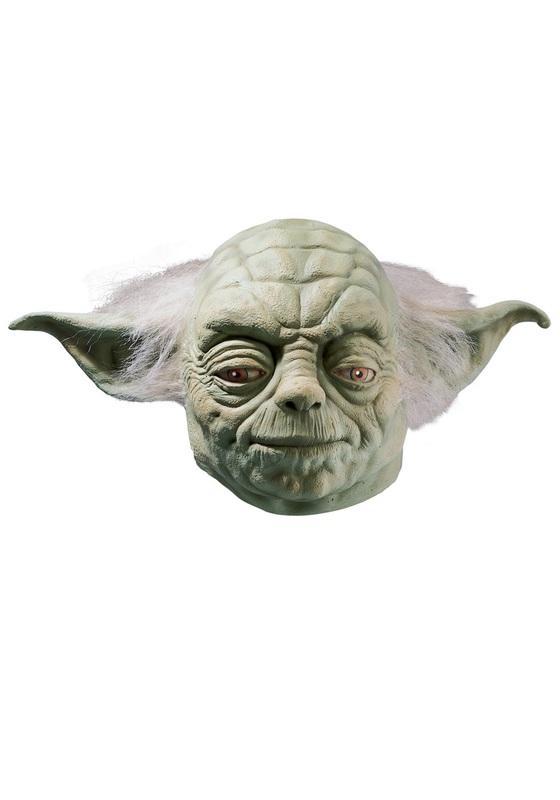 That's why you might catch us hanging around Dagobah on the weekend, wearing this officially licensed Star Wars mask, trying our absolute best to lift X-Wings out of the swamp.